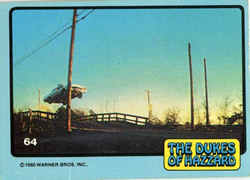 Over at Branded in the 80's, Shawn recently shared the wrappers from the 1980 Dukes of Hazzard trading card series. 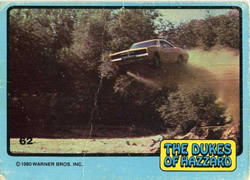 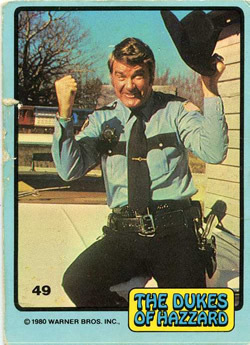 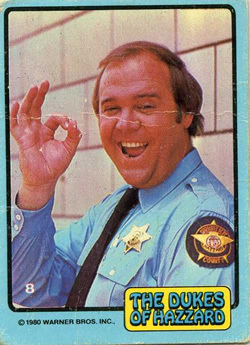 Having just gone through my own trading cards a few days before, I thought I'd take this opportunity to share the few that I have left from the Dukes of Hazzard set. 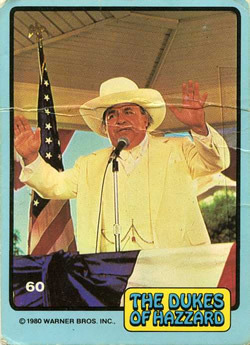 The creases across most of these cards are what you get when you give trading cards to a five-year-old. 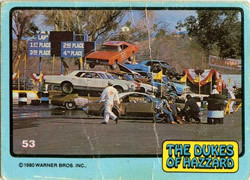 I'd bet any amount of money that any of these cards my brother may still have around are in much better condition.